Cheongju Cheongwon Police Station said Wednesday that it has booked two teenagers on the charge of obstruction of business. 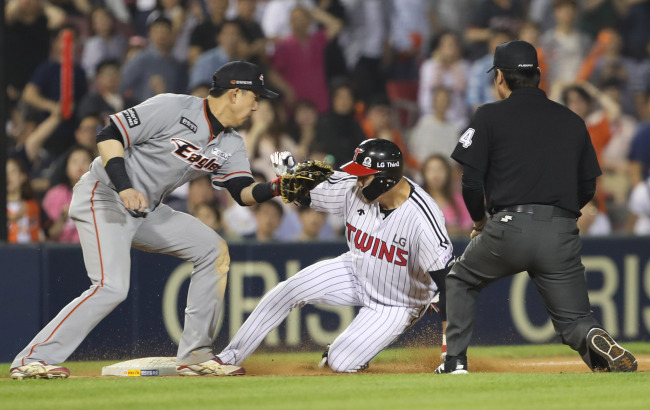 The two 18-year-olds are accused of running around on the baseball field during the ball game between Hanwha Eagles and LG Twins around 9:55 p.m. on Tuesday, interrupting the game. The suspects claimed that they got angry because Hanwha Eagles lost the game during the police investigation. Police said they were sober.